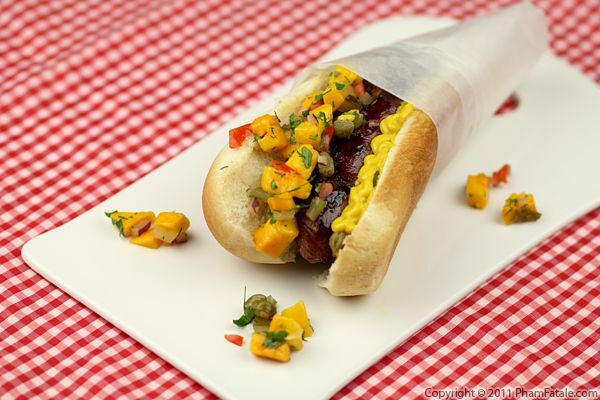 Here's another simple summer vegetable recipe using the barbecue grill. 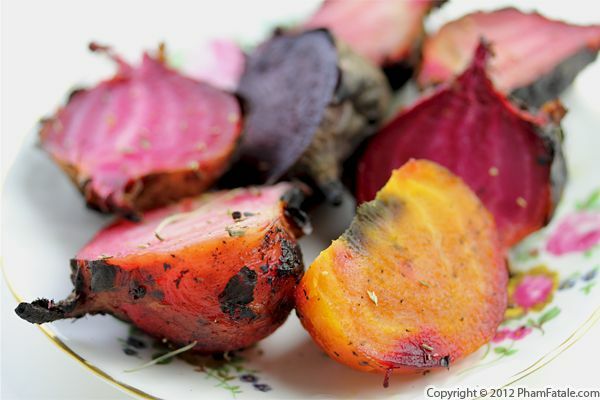 Whole unpeeled beets are placed over the coals of the barbecue grill and cooked until the skin is burnt. I let the beets cool to room temperature and seasoned them with a few fresh herbs, lemon juice and extra-virgin olive oil. The beets turned sugary sweet. Roasting them turned out to be a great way to showcase the results of Lulu’s hard labor to everyone during our Fourth of July barbecue. This year's July 4th is especially meaningful to me because it's my first Independence Day as a proud US citizen. 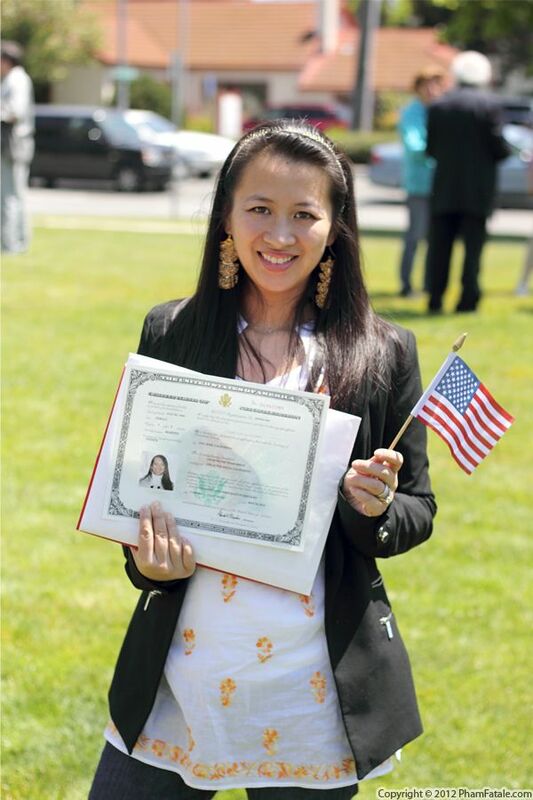 In the spirit of this patriotic holiday, I wanted to share with you a picture of my first few minutes as an American right after I took the oath last month. I hope everyone is having a blast. We're having a giant barbecue at our home. Here are a few dishes we're going to be eating. Enjoy the firework display and happy Fourth of July! 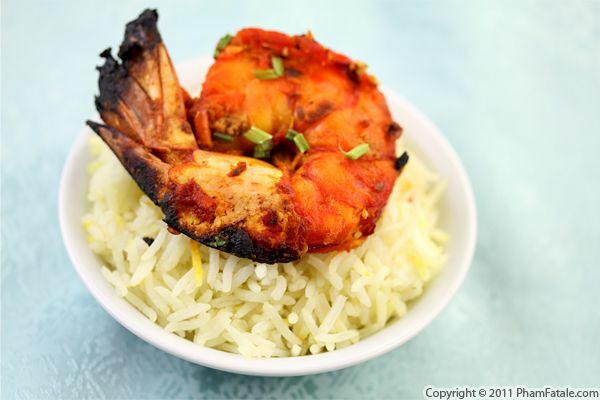 Tandoori shrimp is a seafood dish fit for a feast. The preparation isn't all that complicated; the marinade is the same as for the similarly-named chicken dish. It consists of ginger garlic paste, yogurt, garam masala, turmeric and chili powder. I also add paprika so the color is vibrant without being too spicy. Once the marinade is complete, you can use it for meat, fish or even paneer cheese; you name it. Tandoori paste is a true culinary chameleon. I made this dish 'way back during the summer and completely forgot to share the recipe. I've been working on an exciting photo project these days (I'll tell you the good news soon!) and found this jumbo shrimp photograph in my image organizer as I was editing my previous food photography work. We made it for a barbecue. It was a very relaxing day and I really didn't want to slave in the kitchen. I just placed the colossal shrimp in the marinade and my husband's cousin was in charge of grilling. Of course, you don't need to wait for warmer days; simply use a griddle pan and I promise your guests will definitely be in for a treat. The last time I served hot dogs, I made sure to put out a spread of relish, mustard and ketchup. But I also made a beet goat cheese sauce that tasted out of this world. Last night, we grilled smoked apple chicken sausages and I felt like preparing another unique condiment. I settled on giving a tropical twist to ordinary relish. I mixed diced mangoes, red onions, jalapeño pepper and capers with the pickles. 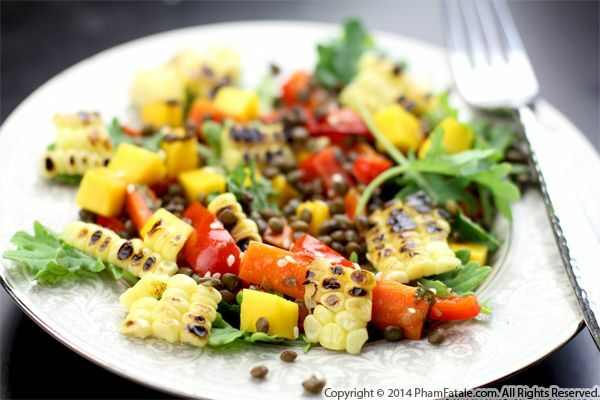 The sweetness and explosion of flavors from the mango and capers were an instant hit. Page 4 of 4 pages.